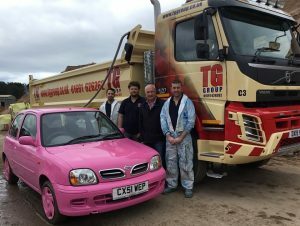 Staff from TG Builders Merchants have beaten their ambitious fundraising target thanks to generous donations. The ten employees took part in the Shrewsbury 10k run to raise funds for Severn Hospice, and they’ve now presented the charity with £1800. Managing director Tudor Griffiths said: “We’re immensely proud of our colleagues from our builders’ merchants branches in Oswestry, Ellesmere and Nantwich who joined the run, and their hard work and commitment has really paid off. 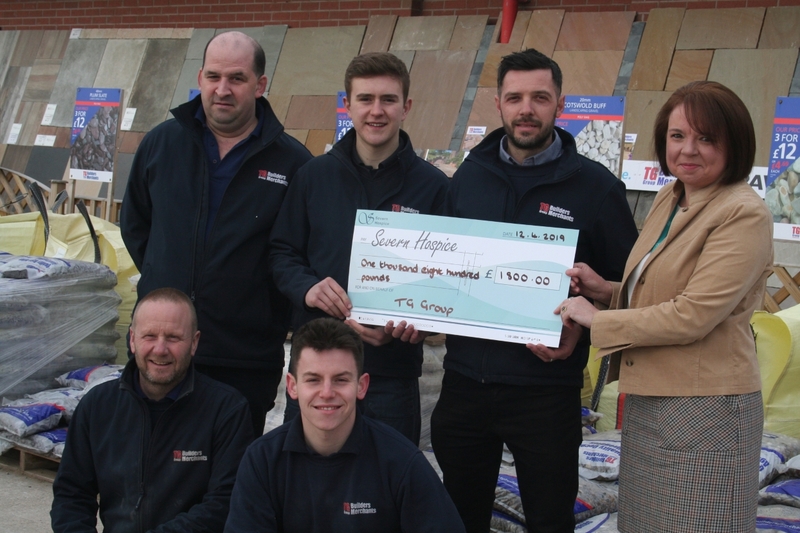 The team presented a cheque to Karen Swindells, a fundraiser at Severn Hospice, who said: “It’s great to see the team from TG Builders’ Merchants take on the Shrewsbury 10k to help support our hospice. Severn Hospice gives specialist care and support free of charge to families across Shropshire, Telford and Wrekin, and mid Wales, who are living with an incurable illness. Since 1989, they have supported more than 34,000 people and their loved ones during their time of greatest need. 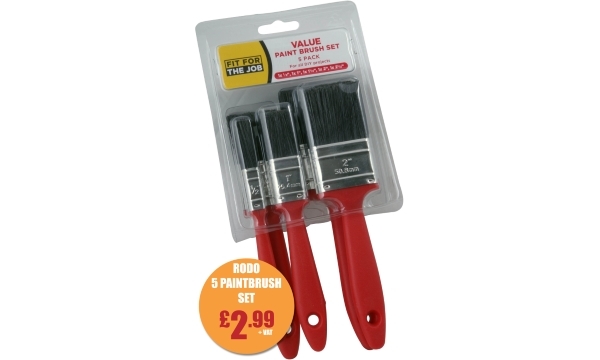 They now help more than 2,000 local people every year. Pic: At the cheque presentation are, top row from left, John Wickwar, Jake Evans, Dan Evans, and Karen Swindells (Severn Hospice). Front, from left, Doug Jones and Connor Williams. “And they get an opportunity to visit our landfill site and recycling facility too so that the children can discover the story of what happens to rubbish and compare the process with how nature recycles. 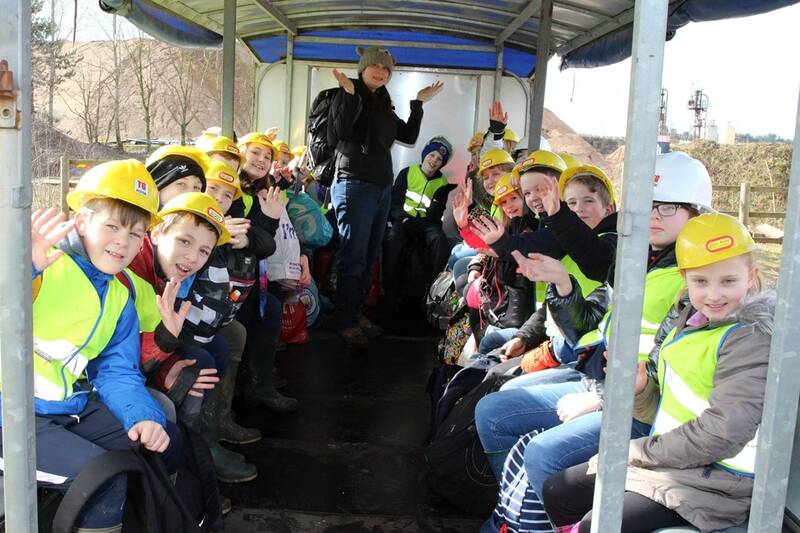 To mark the launch of these new sessions, Shropshire Wildlife Trust are offering a reduced price of £150 (usually £250) for the first 20 classes to book a full day Secrets of Waste or Rocks visit to Wood Lane. Staff from a Shropshire builders’ merchants division are putting their best feet forward to raise vital cash for charity. The ten employees from Tudor Griffiths Group will be joining competitors in the Shrewsbury 10k run on Sunday, March 17th, to raise funds for Severn Hospice. 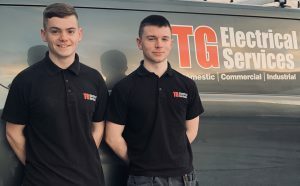 Managing director Tudor Griffiths said: “The staff taking part are from our builders’ merchants branches in Oswestry, Ellesmere, and Nantwich, and there is already a real element of healthy competition between the teams. Taking part are: John Wickwar, Doug Jones, Dan Evans, Callum Smith, Paul Morris (all from the Oswestry branch); Chris Whittall, Les Bourne, Andy Gee and Rich Stennings (all from the Nantwich team); and Bronwen Morris (from the Ellesmere branch). The 10k course takes place on closed roads and with a grand start and finish in the High Street, as well as taking in residential areas, major river crossings, and the quarry park. 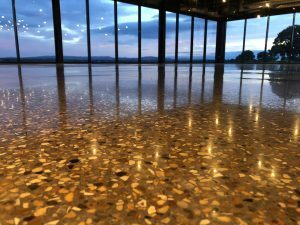 Concrete specialists from a Shropshire company have played a key role in helping to create the county’s latest visitor attraction. The team from Tudor Griffiths Group, in Ellesmere, have been working with the owners of Hencote Vineyard Estate, near Shrewsbury, to deliver a multi-million pound project that will bring a new winery, restaurant and shop. 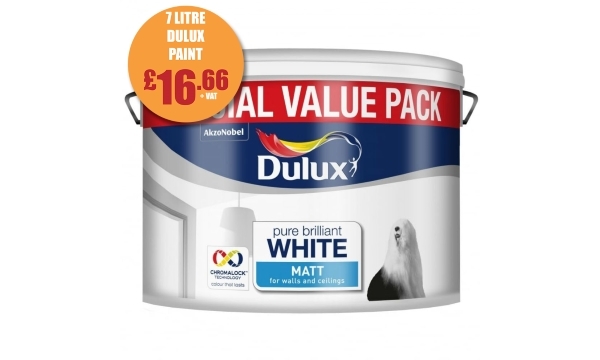 “The result is a low maintenance and dust free floor, and because the process will have increased the surface strength by up to 400%, it will be extremely robust giving greater longevity,” said Martin. 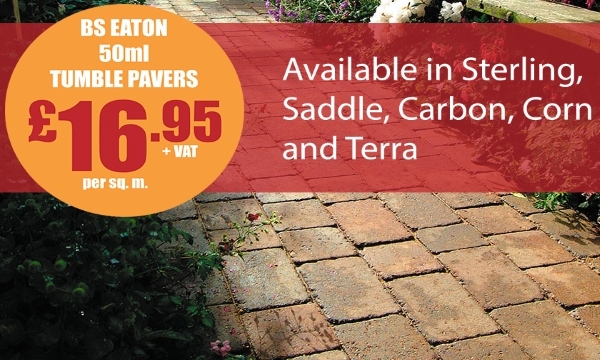 TG Concrete is renowned for its innovative approach, and the company has developed a wide range of products and processes including coloured concrete, AgriCrete specifically for agricultural clients, and TG Cemfloor – a quick-dry liquid self-levelling screed for floors. 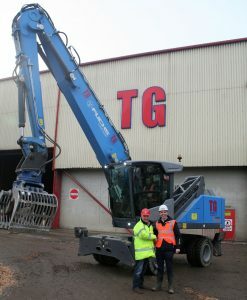 TG Group is in the news! We’re in the news! 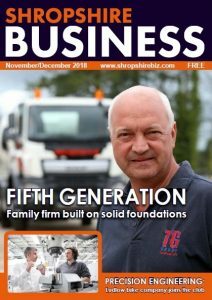 Look out for the latest edition of Shropshire Business magazine which hits the streets this week and features the story of our company over five generations. Our managing director Tudor is the on the front cover and inside you’ll find out all about our history, our current business operations and our plans for the future. A loyal employee who joined a Shropshire company straight from school has worked his way up to a managerial post. 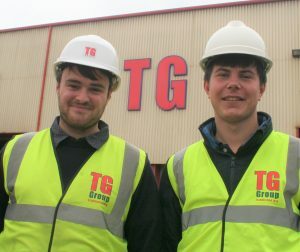 Russell Williams joined Tudor Griffiths Group in Ellesmere at the age of 16, and now at just 23, he’s been promoted to waste and recycling manager. Russell initially drove heavy plant equipment for the firm including excavators, dumpers and tractors, before being promoted to a supervisor’s role in the Materials Recovery Facility (MRF) team. Now he is responsible for the entire MRF waste recycling facility, inert plant recycling, and compliance with landfill regulations. 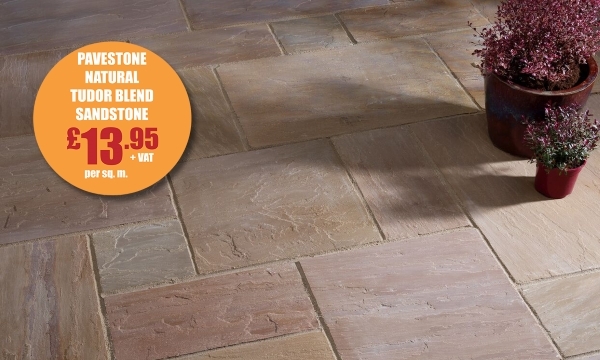 Managing director Tudor Griffiths said Russell’s promotion was as a direct result of his dedication and commitment to the company. Russell’s promotion is part of a restructure following an increase in business for the recycling and skip hire divisions. And the company has also seen a new addition to Russell’s team with the appointment of James Bright as a waste, sales and technical assistant. James, who is also 23, has previously driven HGV vehicles as well as qualifying as a transport manager and working as a transport planner for a refrigeration company with over 20 vehicles.